Power sector analysis shows a decline in power generated by 15.07 percent from a peak of 3,424 mw to 2,908 mw between May 8, 2016 and May 15, 20169. The declining power supply is attributable to vandalism of pipelines and gas shortages, which has a debilitating effect on power generation. As part of the efforts by the Federal Government to improve power supply in the country, the Bank of Industry (BoI) is currently funding intervention projects to provide alternative source of energy (solar) in rural areas across the country10. Since the major problem facing power generation in the country is gas shortages, the government should make concerted efforts to combat vandalism. GDP growth rate increased marginally by 2.84 percent in Q3 2015 from 2.35 percent in the preceding quarter. Nominal GDP increased to N24.3 million from N22.9 million in the preceding quarter. Growth in this period was attributed to the improved performance of the non-oil sector which grew by 3.05 percent. 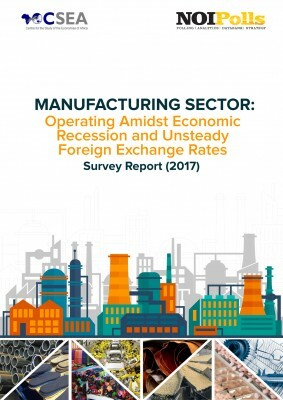 The Sectoral disaggregation shows that the Services and Agricultural sectors grew by 3.97 and 3.46 percent respectively, while the Manufacturing sector shrank by 1.75 percent.